All porous natural stone surfaces should be sealed. Sealing provides protection against chemical attack, deterioration and contamination and also reduces the amount of damage caused by any potential stain. Tile Cleaners Brisbane® is your specialist service provider for all stone sealing, stone restoration, and minor stone repairs. If you need advice on cleaning & sealing your old or brand new stone surfaces or need a professional to do it for you, then you have come to the right place. Natural stone is amongst the most durable materials for floor and wall coverings, also boasting some of the lowest abrasion values. Sealing your stone and/or grout helps prevent & reduce staining by providing a barrier against stain carrying substances. All natural stone is porous to different degrees. The best protection your stone can receive is to be sealed using a quality deep impregnating sealer which is similar to a topical sealer but doesn't create a film on top of the stone, instead it sits within the pores, not altering the appearance or texture of your natural stone, and importantly allowing the stone to breathe. The idea of using sealers is to prevent water and oil base stains from penetrating the pore structure of your stone, which eventually leads to stains, cracks, weathering, and deterioration. Sealing your stone and/or grout helps prevent & reduce staining by providing a barrier against stain carrying substances. Sealing is the first important step towards protecting your investment against stains. Sealing is the first important step towards protecting your surfaces against stains! Tile Cleaners Brisbane® use two main types of sealer to protect your surfaces. 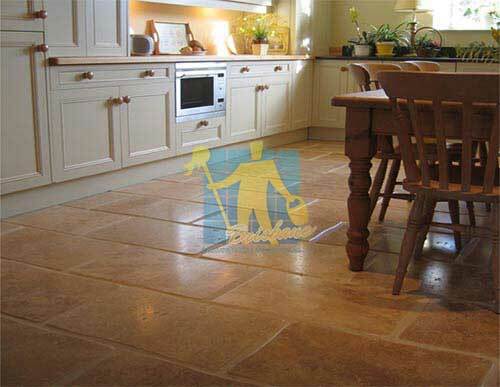 One sealer is known as an Impregnating Sealer (Penetrating Sealer) which is absorbed into the tile protecting from within and the other is known as a Topical Sealer (coating) which sits on top of the tile. Tile Cleaners Brisbane® technicians are experts at applying all types of sealer and will ensure your surfaces look their absolute best. Tile Cleaners Brisbane® can apply a topical sealer when especially required to create either a high gloss, satin sheen or matte finish to your surfaces. Topical sealers can be helpful in situations where the old solvent based sealer can't be completely removed or when required to hide certain types of damage. 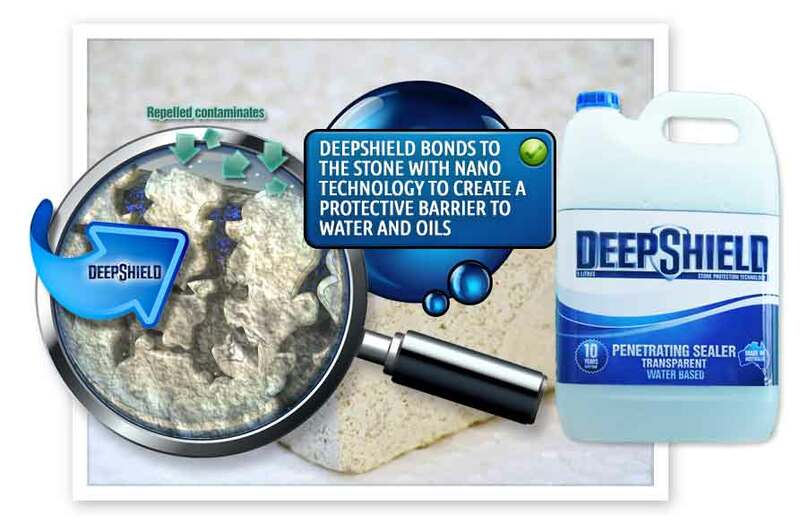 Topical sealers typically have a life expectancy of around 3-5 years while impregnating sealers such as the Deepshield™ range of impregnating breathable water based sealers offer long term benefits lasting for up to 15 years. Impregnating sealers are safe for stone and highly recommended. These sealers sit below the surface of your tile and deposit solid particles into the pores of your stone, coating the individual minerals below. Even when the tile has been sealed before with an impregnating sealer there is no need to strip the old sealer (as with Topical Sealer) before reapplying, most aren't affected by UV light, and high quality penetrating sealers do not require frequent applications. Impregnating sealers do not alter the slip resistance properties of the stone, meaning that if the stone is not a slippery then it will stay non-slip, making it the recommended sealer for most cases where slipping may be a risk. 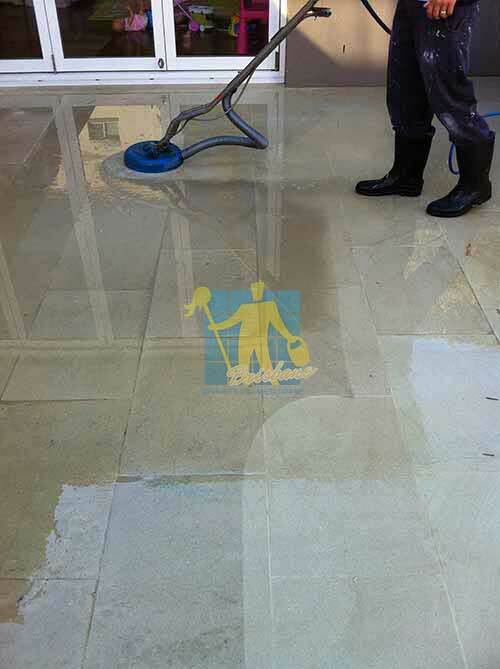 Impregnating sealers used by Tile Cleaners Brisbane® have an expected lifetime of 10-15 years. In areas where salt water is near, the lifetime of our sealer may be reduced. How Do Impregnating Sealers Work? The "active component" is either a natural or a synthetic resin. This resin is melted into a liquid solution with a mineral solvent or with water. 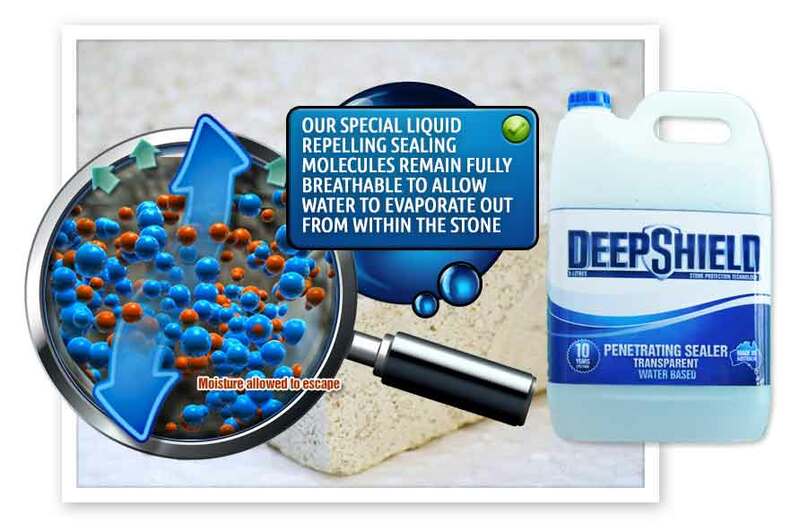 Penetrates into the stone and attaches its protection to the cell walls within the pore structure. This allows for total vapour transmission through the stone. Does not change the colour or sheen of the stone. Does not need to be re-applied after each cleaning. Because the sealer does not remain on the surface, the sealer coating will not scratch or scuff. Without a surface coating to wear off, the sealer does not require re-application as frequently as topical sealers. Solvent or water based sealer? A solvent based sealer absorbs deep into the stone but emits a very strong odour and is trickier to apply and remove. There have been a few reports of solvent based sealers reacting negatively to certain stones that have a factory applied resin. It's always safest to test using a spare or small inconspicuous area first. Solvent carried impregnators are excellent water repellents but do not usually repel oil stains. A water based sealer is easier to apply and safer to handle as well as safer for the environment. Water carried impregnators are excellent oil repellents as well as excellent water repellents. Not all sealers work the same. Some sealers just repel water. These are called Hydrophobic. A hydrophobic type sealer repels water based liquids such as coffee, soft drink and tea. Sealers that repel oil are called Oilophobic an oilophobic type sealer repels oil based liquids such as cooking oil and grease AS WELL AS water based liquids. Our impregnating water based sealers are Oilophobic, meaning that they repel both water and oil based chemicals. 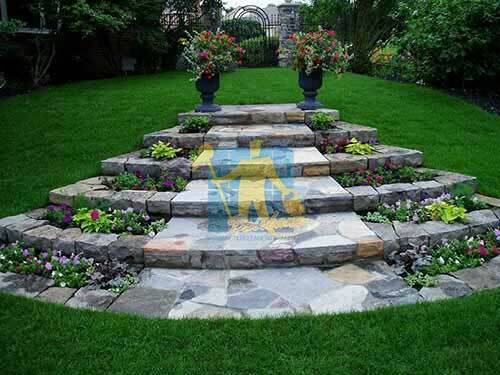 Enjoy your stone surface in its best possible condition! Sometimes a Topical Sealer is referred to as a "coating" because this is essentially what it does, it coats the surface of your stone with a protective barrier. It's basically a layer or thin film sitting on top of your stone. 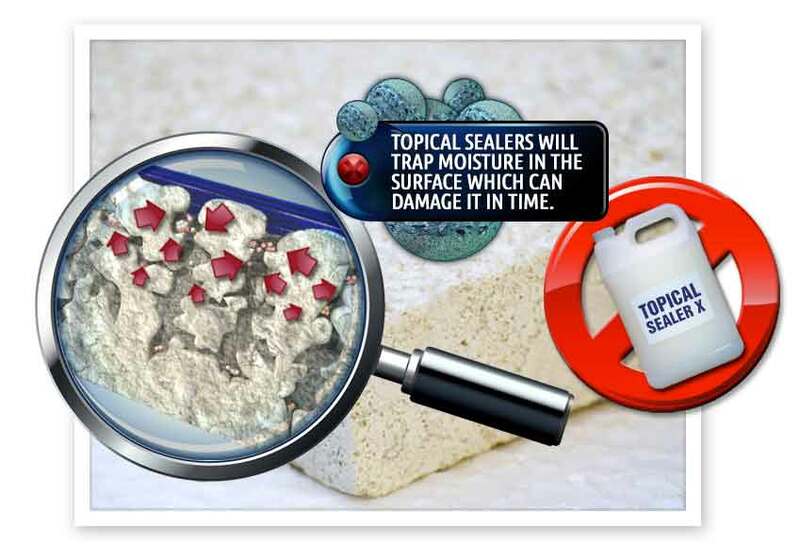 Topical sealers are either removable (through stripping) or permanent. Removable coatings are designed to easily be stripped from the surface of stone and are usually water based. 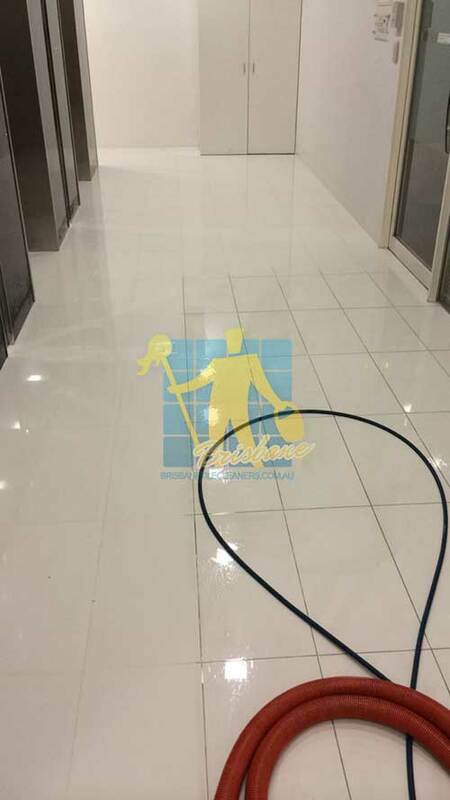 Most strippable coatings are NOT designed for natural stone, however nowadays there are high quality water based sealers also available for stone. Permanent coatings are very difficult to remove and are usually NOT designed for stone either. It's important to ask an expert to determine which topical sealer is safe to use on your particular surface. What will a topical sealer do? It will help prevent your tile from scuffing, scratching and staining. The sealer will scuff and scratch instead. The downfall is since the sealer is softer than your stone it can scuff and scratch fairly easily, which means they are short lived and frequent reapplication is necessary. Before reapplying, old topical sealer needs to be removed and frequent stripping can cause damage to your tile or stone. If you don't remove the sealer before applying a new coat, eventually these coatings will build up and cause your tile to have an unnatural wavy or plastic look. This is called “stripping” the sealer. Bottom of the barrel topical sealers can cause your tile to turn a yellowish colour, especially when exposed to UV light. They can change the appearance of your tile and may react adversely to heat and acids. Topical sealers are usually easy to apply and less expensive than impregnating sealers. Some add additional shine to your tile and some even add slip resistant properties. But the need to frequently strip and reapply, or buff should be taken into consideration as well as the location of your tile. Tile Cleaners Brisbane® technicians apply the highest quality water based sealers providing the highest level of protection. In most cases we will be able to chemically remove your existing floor finish (sealer) and treat any staining and marks that may have occurred due to the ineffectiveness of your floor seal. When we are satisfied that we have achieved the best results possible, preferably by returning the floor to its natural state, we then allow a sufficient drying time before applying the required number of coats of our specialist stone sealer dependent on the stone type. How often does the stone sealer need to be applied? Some stone sealers need to be applied every year, some every 3- 5 years, and penetrating sealers may last up to 15 years or even longer. This will depend on the type of resin used and on the type of use the tiles are intended for. The resin used is the most important factor because this resin is left behind to do the work. Not all stone requires sealing, but even for those stone tiles than don't require sealing you can and should always seal the grout lines. 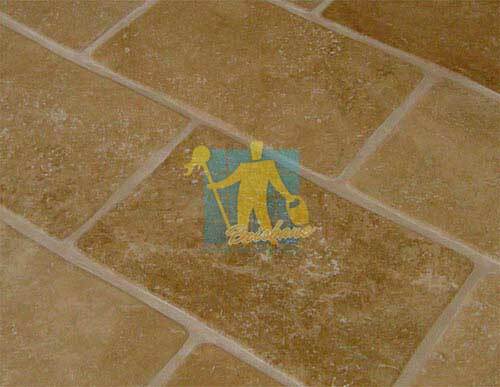 Grout Sealers prevent spills from penetrating into the porous grout. Our impregnating penetrating water based grout sealer repels water and oil based liquids, prevents stains caused by food and beverages and protects the grout from dirt and impurities. After cleaning your grout it is recommended to apply an impregnating water based sealer specifically designed for grout that creates resistance to spills and stains. This also results in your grout becoming much easier clean in the future and makes your grout look cleaner for longer. There are different sealers for grout with varying qualities and prices. 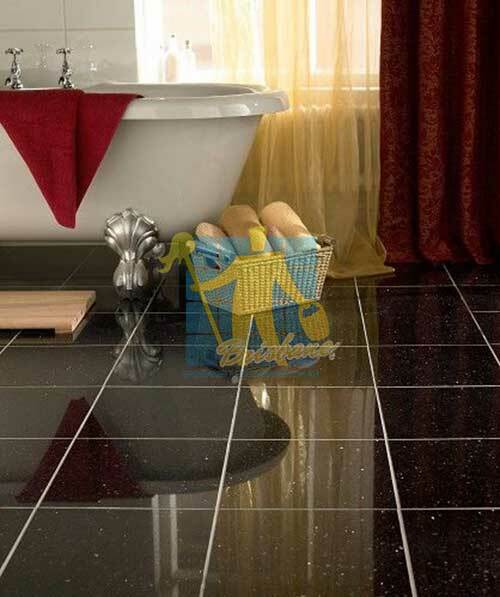 Check our website for advice on sealing your type of tile & grout or call us and our knowledgeable customer service can help you with all your enquiries. The extra layer of protection from sealing the grout can be applied to grout in kitchens, shops, swimming pool surrounds & showrooms and most other areas in your home or business. While sealing your stone and grout means that they will be protected, is it important to keep in mind that the previously applied sealer may need to be removed and reapplied in future depending on the quality of the sealer applied to your stone and the amount of traffic. This process is called tile stripping and sealing, which involves stripping, scrubbing and cleaning to remove old sealant and its residue and restoring the original appearance of the tiles. We can strip and reseal any hard surface flooring as well as wall tiles. No matter where your stone tiles are, Tile Cleaners Brisbane® technicians will strip, clean and professionally reseal them for you, in your kitchen, shower, bathroom, around the swimming pool, your backyard, outdoors or any hard to reach indoor areas. A variety of colours are available and an added advantage of grout recolouring is that the product we use also doubles as the highest quality sealer available allowing much easier cleaning of the grout in the future. The best time to seal natural stone and/or grout lines is immediately after installation, but when not done initially it is still extremely beneficial to seal stone surfaces immediately following professional cleaning by Tile Cleaners Brisbane® technicians. After any sealing, we provide each customer with a simple stone maintenance program and recommend a cleaning product to suit your requirements. Sealing of grout and porous stone (such as marble, granite, bluestone, travertine, limestone, sandstone, slate etc.) is necessary to protect against premature decay and contamination. Even very old stone tiles and grout can be cleaned and resealed to give them back a new lease on life! Sealing your porous stone and grout provides you with time to deal with spills. Unsealed stone can stain immediately, whereas a sealed stone floor is stain resistant with a reaction time of up to 4-5 hours. 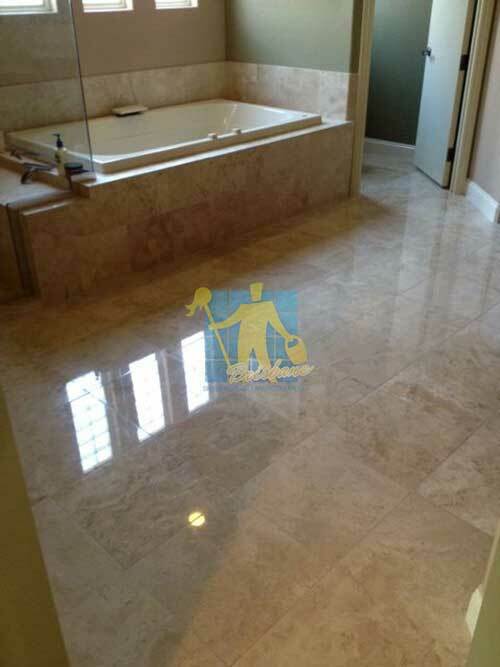 Tile Cleaners Brisbane® are your specialist service provider for stone sealing, grout sealing and tile, stone and grout sealing as well as stone restoration and minor stone tile repairs. Our services cover all suburbs within 60 minutes of the CBD. At Tile Cleaners Brisbane® we strongly recommend that all newly laid porous stone be sealed immediately so the area gains the full benefit of the protection. Installing natural stone is not an inexpensive exercise, so why not protect your investment? 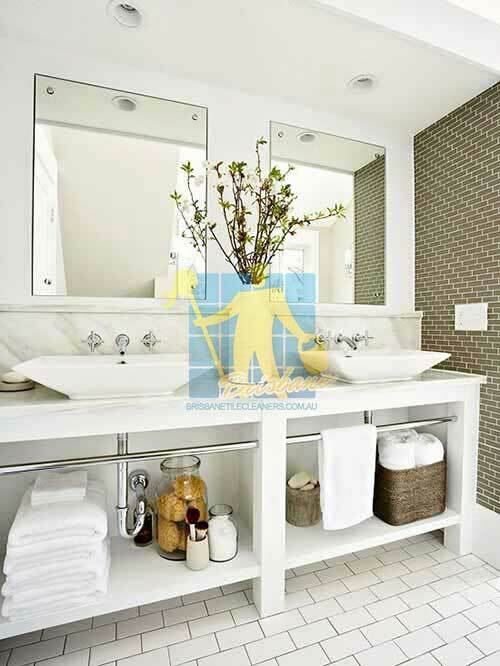 A healthy home or office starts from the ground up with a clean tile! Q: Can all types of stone be sealed? Q: Why should I seal stone tiles & grout? Q: Can I seal just the grout lines if my stone cannot be sealed? Q: How do I know when my stone surface is ready for cleaning, stripping and resealing? Q: Is it safe to have my stone surfaces stripped and sealed? Q: How messy is the process? Will you damage my walls or skirting boards? Q: Why do I need to strip my stone surfaces? Q: Which process can I expect when you arrive to seal my stone? Q: How often should I seal my stone? Q: What happens if I do not seal my stone? Q: When is the best time to seal my stone, and how do I know that mine needs sealing now? Q: Efflorescence has built up on stone surfaces. Can you remove it? Q: What type of sealer should I use for my stone? Q: How many of coats of sealer do you apply to my stone? Q: Does sealing my stone guarantee that it will stay stain free? Q: Why should I organise a professional to seal my stone? Q: Does sealing make my stone maintenance free? Q: Will sealing my pavers or stone stop algae growing? Q: If I seal my grout, will it stay clean? Q: What can I do to keep my surfaces looking new? Q: How will you charge me for sealing my stone?